Bring man’s best friend for a day at the pool. 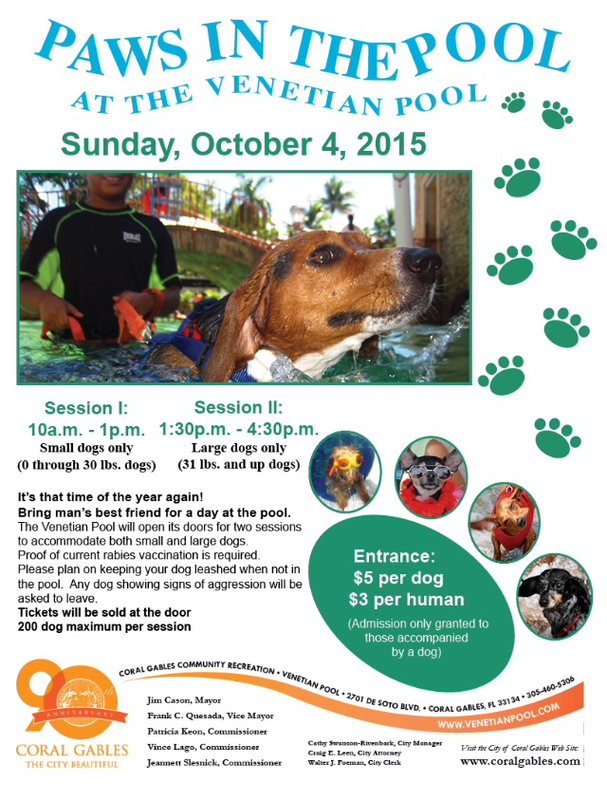 The Venetian Pool will open its doors on Sunday, October 4, 2015 for two sessions to accommodate both small and large dogs. Please bring proof of current rabies vaccination and be prepared to clean up life’s little messes. Only those accompanied by a dog will be permitted to enter the facility. Please plan on keeping your dog leashed when not in the pool. Any dog showing signs of aggression will be asked to leave. Tickets will be sold at the door; 200 dog maximum per session. Please see attached flyer for additional information and rates.